Dubbed the Proteus Spectrum, the best gaming mouse just got better. 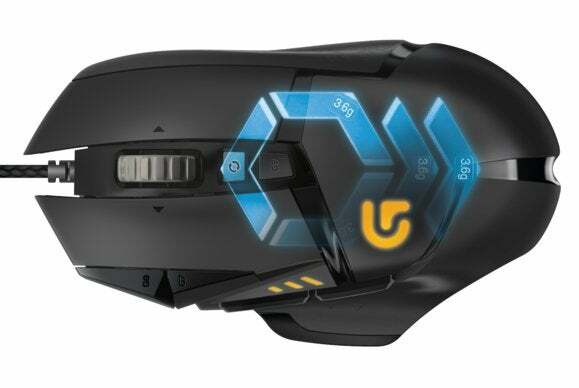 The era of RGB-ifying every gaming peripheral is well and truly underway, and the latest addition is my personal favorite mouse, the Logitech G502 Proteus Core—or, I should say, the G502 Proteus Spectrum, as the new multi-hued version's been dubbed. For any other peripheral this bit of "news" would be a non-item. We've certainly seen plenty of devices go the RGB route in recent years. But this is the G502, and I'll take any opportunity to beat the drum for that mouse. The updated Proteus Spectrum model strips out the teal-colored highlights but features the same 12,000 DPI sensor, the same elongated shape and thumb rest, the same dual-mode scroll wheel, the same tunable weight-balancing. I've been a G502 evangelist since its release—for my money, it's one of the top five gaming peripherals on the market at the moment. And the mouse I use every day. So if overhauling the G502's plain ol' blue LEDs with a 16.8-million color facelift is what it takes to get you to check out this mouse? Well, so be it. The new Proteus Spectrum will release this month for the same $80 list price as the original Proteus Core. Stay tuned to PCWorld for more news on Logitech and everything (and I do mean everything) else CES 2016 has to offer.